Fingerprint sensors continue to make their way into everyday life, so it’s not too surprising to see the security feature being embedded into credit cards. Mastercard is currently testing the technology in South Africa and hopes to roll it out to the rest of the world by the end of 2017. The biometric cards are no thicker than standard credit cards, but there’s a built-in fingerprint sensor located in the corner that’ll let you authorize in-person transactions using just your thumb instead of a PIN number or by signing a paper receipt. "Whether unlocking a smartphone or shopping online, the fingerprint is helping to deliver additional convenience and security. 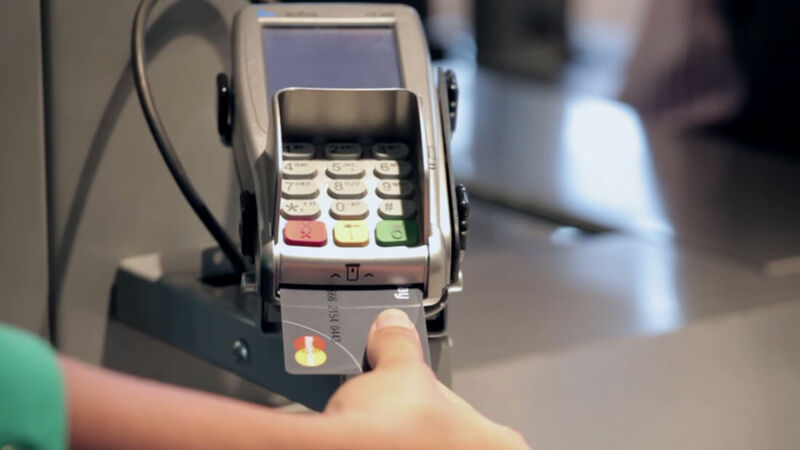 It's not something that can be taken or replicated and will help our cardholders get on with their lives knowing their payments are protected," said Ajay Bhalla, Mastercard’s president of enterprise risk and security. Setting up one of these cards won’t be as simple as using an app. Assuming your financial institution decides to use the system, you’ll need to visit an enrollment center to have your fingerprints scanned. An encrypted digital template will then be stored on the card’s EMV chip. It’s possible to have two prints on the same card, though they must both belong to the owner – you can’t add other people’s fingerprints. Should the South African trials go well, the next step is to start testing in Europe and Asia. A worldwide rollout before the end of the year may sound ambitious, but the fact merchants won’t require new machines to accept the cards should speed things along.